Condition: used, in very good to excellent shape. U.S. Mil. 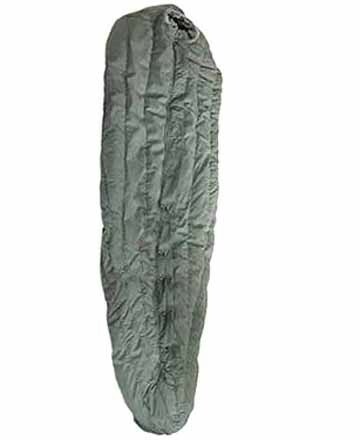 Sleeping Bags. Rated +10F to +20F. Issued 1970s to 2000s. Cotton outer shell. 84" overall, 30" wide at top and 14" at bottom (upto 6 foot, 2 inch soldier).